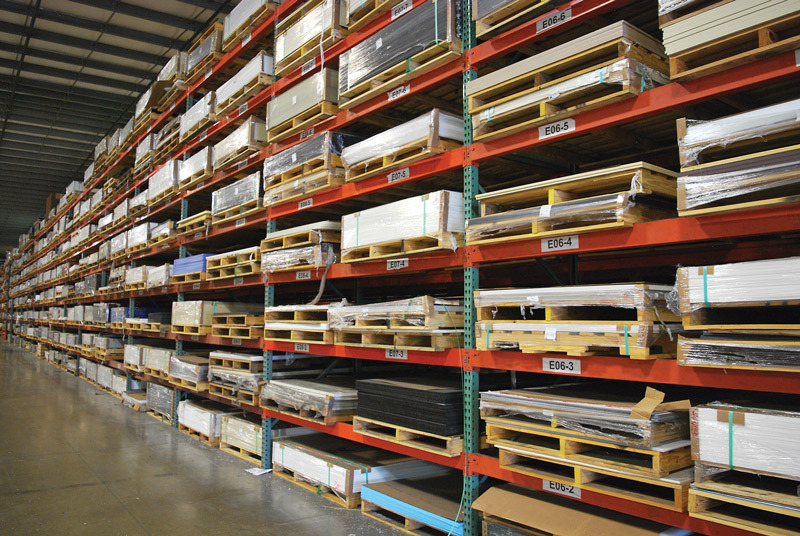 To target different industries, King Plastic creates an astonishing variety of sheet formulations. Not long ago I was looking for some backing-plate material for a new piece of deck hardware. Not wanting to drive a long distance to the nearest chandlery, I bought a ½″-thick (12mm) plastic cutting board from the local Dollar store, which worked very well. Cutting it with a jigsaw, I learned the material melts slightly and so adjusted the speed of my blade accordingly. I thought the material looked a lot like King StarBoard, the white isotropic plastic material whose versatility has made it akin to duct tape; in fact, between the two you could jury-rig all sorts of nautical fixes and repairs, like covering a broken portlight or hatch. 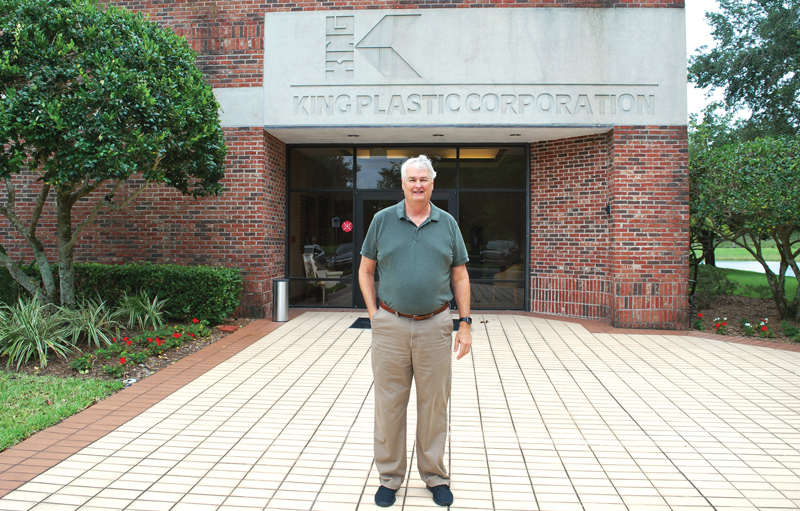 Jeff King, son of the company’s founder, is president, and celebrated their 50th anniversary by building a new 100,000-sq-ft (9,300m2) plant and warehouse. The company soon outgrew its Venice facility and in 2001 relocated to North Port, some miles inland, where it built a new 150,000-sq-ft (13,950m²) plant. And the product line continued to expand, from various formulations of King StarBoard to King ColorBoard for outdoor playgrounds, graffiti-resistant King Plasti-Bal for commercial restroom partitions, King MediGrade with antimicrobial technology “bonded at the molecular level” for healthcare applications, King PipeGrade for industrial piping, and, of course, every imaginable formulation and color of King CuttingBoard for home and commercial food service. King Plastic does not make any of the above product applications, leaving that to individual manufacturers. Raw materials arrive at the King Plastic plant in the form of pellets, “BBs if you will,” said King. “We essentially just convert them from one form to another—a sheet form or whatever product we’re making. We don’t chemically alter them per se, but we do add stabilizers, pigments, and modify the base polymer for extra elasticity, extra stiffness, fire-retardancy, and so on.” Four principal processes are employed, including compression molding and its K-Stran process, from which the King StarBoard family of products is made. King Plastic does very little working of the sheets, letting customers make what they will with the material, but there are a few exceptions. 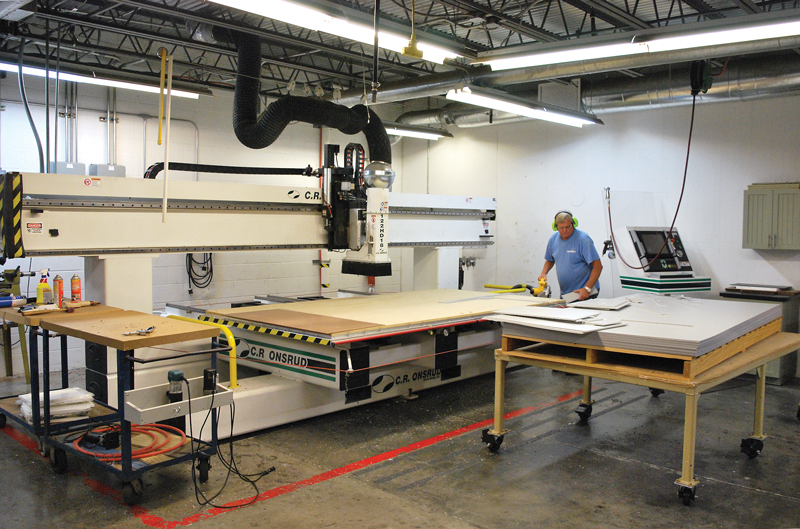 Here, a technician oversees custom cutting. During my visit, the finishing touches were being made to a new 100,000-sq-ft (9,300m²) plant and warehouse, enabling the company to inventory a larger variety of products. Celebrating their 50th anniversary this year, the company is well positioned for the future, with Jeff’s son Charlie in charge of manufacturing, and son Steven managing its Medford, Oregon, operation. King Plastic Corp., 1100 N. Toledo Blade Blvd., North Port, FL 34288 USA, tel. 941–493–5502, fax 941–497–3274.